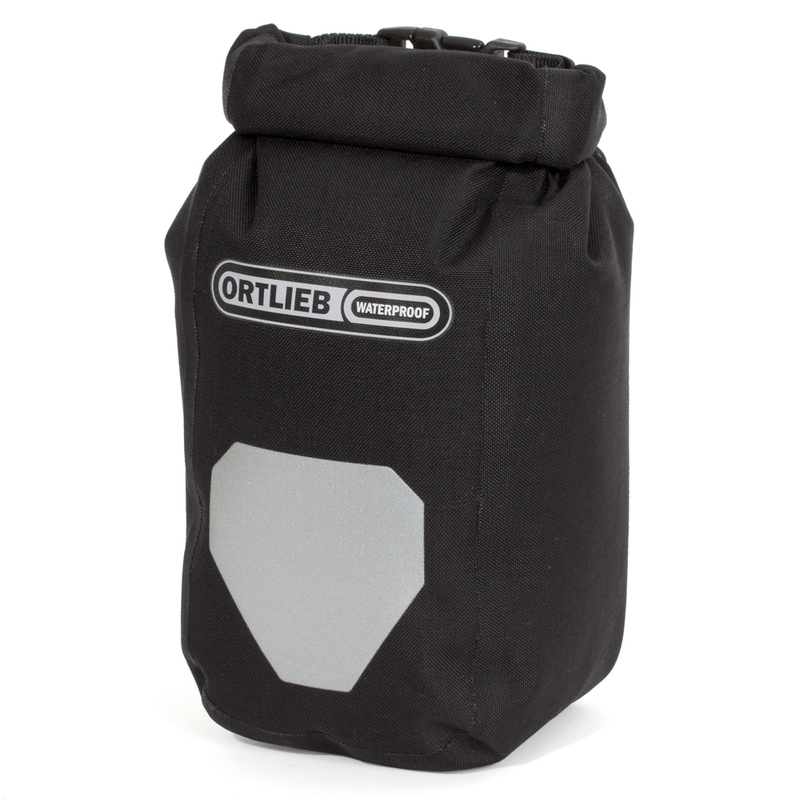 Use this waterproof outer pocket by Ortlieb for tools, first-aid-kit, bottle, purse etc. It can be mounted to any Ortlieb pannier (or to any other bag). Fast attachment and removal is guaranteed. The loop on the reverse side allows you to wear the outer pocket on your belt or to attach it to straps. The outer pocket is suitable for panniers and small backpacks. The outer pocket comes as a single bag and includes the mounting rails, a punching tool, and a template. Size 1.8 L suited for all ORTLIEB panniers independent of the model type or year (except Office-Bag) or for other bags. All Ortlieb Bags are backed by a 5-year warranty against defects in material and manufacturing. Please see our Warranty page for the details of our warranty process. The ortlieb outer pocket was bought to compliment my ortlieb backroller classic pannier bags. The inner pocket of the backroller classic is not easily accessible when packed with gear, the outer pocket was the obvious choice. Like the backroller classic this outer bag is brilliant, easily fitted with template,anchor rails and screws provided. The bag was purchased online through bikebagshop.com Arizona USA, my purchase arrived 9 days later in New Zealand. Thank-s bikebagshop.com for the great service. Great item for the tourer. I have three, two attached to my back roller plus panniers and one to my front roller plus pannier. They are superb for holding items you need easy access to. Do not fear about puncturing your pannier for attachment, the waterproofing ability remains.